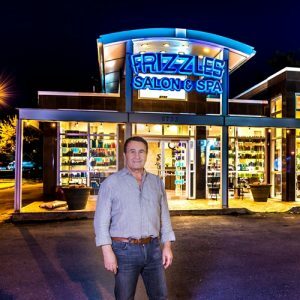 Nadim has been in the salon business for over 40 years. Starting his illustrious career overseas, he brought his thoughts and dreams to the US. No one is a stranger sitting in his chair. With his flair for perfection, his innovative coloring techniques and precision cuts, he is the master of transformation. As an educator for many years and with his patient caring style, Nadim has trained some of the top stylists in the nation. His vision is now shared by many of his students. He relishes in the fact that he has multi-generational clients. There has never been a head of hair that Nadim cannot turn into a work of art. Just ask his clients!